Richard Osman’s House of Games (or ROHOG, as all the cool kids are calling it) begins a second run of shows after a successful 15 episode run last year. The commission for this one is fifty, but whether they’ll show them as one block or several remains to be seen. Being the BBC, they’ll probably show the new series for a few days and then put repeats on. Lots of new games promised, which is good as the show is not immune from the Laws of Mini-Game Fatigue, Osman or no Osman. Also new prizes by the sounds of things. We discussed series one here. I’m pretty sure there were 15 episodes in the first series not 20. I hope they have a lot of new games if they’re going to sustain such a long run. I also hope they hold a few back for a few weeks so we keep seeing new ones crop up. Talking of BBC2 shows, whatever happened to Debatable? I think it’s died. There’s a whole host of decent and middle-performing shows that simply haven’t been recommissioned. 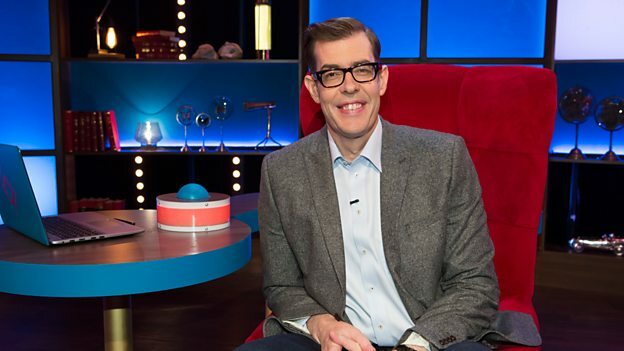 With the tweet of Eggheads being back on 25th June, that suggests we might well be looking at a run of 20 of House of Games for now with more later on. Funny, I read that and thought Eggheads would be back at 25th June on 6:30, after Curious Creatures’ run. Well not much different in episode one, but it’s good to see the writers still have an ear for a pleasingly amusing sounding answer. Two new games on today’s show – one where you have to give answers in alphabetical order and the other where you have to give clues collectively to one player to guess the name of a book. Both quite enjoyable – getting your head round The Good, The Bad and The Ugly was tough! Celine Dionomatopoeia on Answer Smash was a great answer too. I’m hoping that at some point the question-setters pick an answer that doesn’t *have* the letters to omit (but ideally sounds like it does!) to see who spots that they just need to give the answer… and similar, I’d like at some point for there to be an answer that includes *two* of the word to avoid, to see if one team member forgets to keep checking after successfully navigating the first! I’m Terrible at Dating – Richard gives a historical event and the players have to write out the year they think it took place. The person closest to the correct answer wins a point.